Tami Asars is a writer focused on outdoor recreation and a nature photographer, living in the Cascade foothills of Washington state with her husband, Vilnis and her rough collie, Scout. 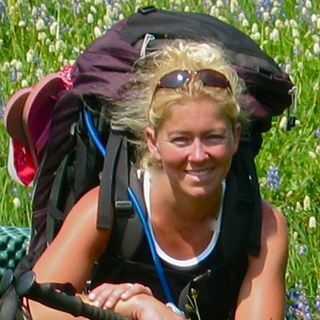 She is the author of Hiking the Wonderland Trail, Day Hiking Mount Adams and Goat Rocks, Hiking the Pacific Crest Trail: Washington, and the upcoming Day Hiking Mount Rainier, all published by Mountaineers Books. Philip Kramer is an outdoor photographer and writer based in Washington state. He holds an AFA in photography from Everett Community College, and assisted under legendary travel and nature photographer Art Wolfe before creating his own business. His photography has been published internationally and is represented by Getty Images.